Less than two months after Wonder Woman started exceeding expectations at the box office, Warner Bros. has some major news to share. E! News can confirm Gal Gadot will return for the sequel as Diana of Themyscira. We've also learned that talks with Wonder Woman director Patty Jenkins to return are ongoing. In other words, that part of the project isn't official just yet. In addition to receiving positive reviews from fans and critics alike, Wonder Woman has grossed more than $389 million at the domestic box office to date. In fact, it recently passed Marvel's Guardians of the Galaxy Vol. 2 over the weekend. Oprah Winfrey and Lupita Nyong'o are just some of the vocal supporters of the film. And yes, they also are big fans of Gal. 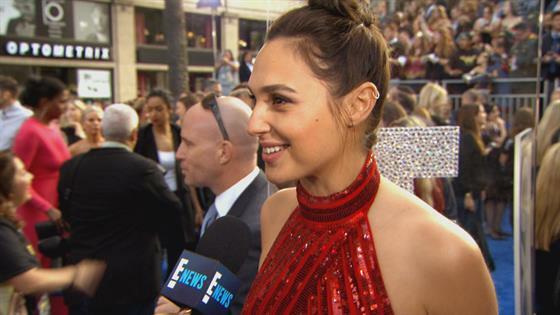 Even with all the praise, Gal recently showed fans what a wonder woman really is. In an Instagram last month, the actress shared a little bit of her family life at home. "Sleepless night, colic 3 months old baby and an early wake up by my 5 year old. Went to the garden to get some fresh air with my coffee to help me wake up and now watching The Cat In The Hat with my daughter," she wrote to her followers. "It always amazes me how the most simple things are the ones to make us the happiest." Gal is also expected to star in Justice League being released everywhere on November 17, 2017.